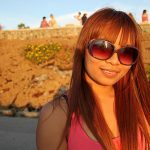 Either in one of the many different nightlife spots (careful, lots of freelancers), in everyday life situations like flirting with the cute waitress in the restaurant, or simply on a dating site like Thai Cupid which is used by hundreds of thousands of people every day. Unlike in western cities, the difficult part is not really how to meet girls in Thailand’s capital, but where to take them for a date. The good thing with Thai girls is that they are much more open about what to do than Farang women, let you usually come up with an idea (“up to you”) and if it’s not something like a trip to the water park where they’d feel embarrassed showing a lot of skin on the first date, they usually are okay with it (“dai ka”). Still, you might want to come up with something more interesting than the noodle shop near your apartment, especially if you really like to get to know her. Thai girls love to watch movies. 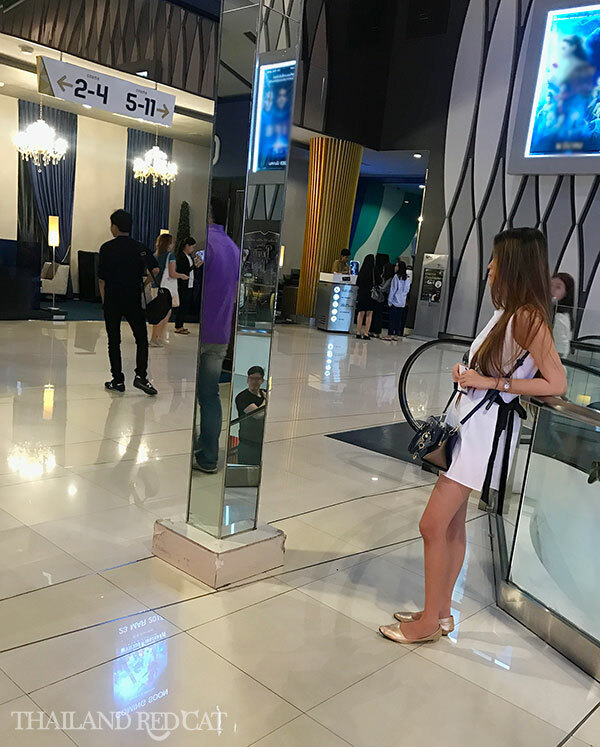 And if you’re already in the process of chatting or flirting with a girl in Bangkok, she’ll probably also say yes if you invite her to the cinema. The big advantage with this type of date is that you avoid awkward situations in case one of you is rather shy (she probably is, especially on the first date, as her English skills might not be the best and maybe she’s never had a Farang boyfriend before either). Then you give the role of entertaining to the movie, while you and her just comment every few minutes or ask each other some random questions while not feeling weird when not talking for several minutes – which is usually the case with most other kind of dates: You just kind of have to talk all the time. Movie tickets in Thailand are also fairly cheap – usually about 200 Baht, and on Wednesdays there is “Movie Day” in SF Cinemas (the company that operates the cinemas in most shopping malls) with 100 Baht tickets (or 120 Baht if it’s a new or long movie). Tip: Suggest the cinema in Terminal 21 shopping mall. It’s not just one of the nicest movie theaters in town, but also conveniently located at the Sukhumvit MRT / Asoke BTS intersection – so your girl won’t come up with the excuse that it’s too far and she’s tired after work. Let’s be honest – the best type of date is one where you actually have a good conversation with your girl. Only that way you will know if there is some chemistry between you and her. 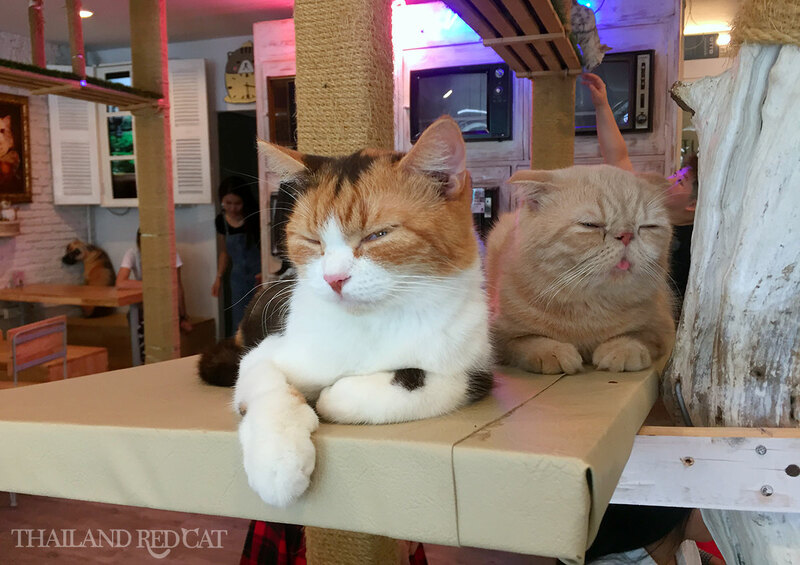 The classic option in that regards is simply the cafe, and Bangkok wouldn’t be Bangkok if it hadn’t some fun variation of that to offer: the cat cafes! Thai girls love cats as much as they do movies, and the cat cafes offer the perfect combination of relaxed atmosphere for a chat and to bridge these type of situations when you don’t really know what to ask or say next – just typical for first dates – so you can just point to some random cat in the room, say “narak maak” (very cute) and go over to stroke it, or take her picture. Tip: There are several cat cafes in Bangkok these days, but my favorite one is Caturday (picture) which is conveniently located right off Ratchathewi BTS station (see the map below). An alternative is Little Zoo Cafe in Siam, which is not as crowded with tourists, but a bit trickier to get to. If you want to do something real fun with your date in Bangkok – why not visit the new and ultra modern Icon Siam? This is not only the biggest shopping mall in Thailand, but it also has a beautiful location right on the Chao Phraya River Bank. 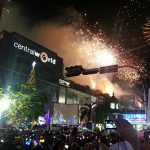 Nowhere else you’ll get a better feeling of the rapid changes and development in Thailand’s capital these days. I predict that the Icon Siam will be the first milestone of huge economic development in this area and there couldn’t be a better time to visit this place than now, when it’s slowly changing and attracting more and more capital and with it new hotels, condominiums, restaurants, shops – and who knows, maybe even a completely new nightlife area? It’s a lot of fun to stroll along the atmospheric river promenade with your girl and take a few pictures (which might turn out very memorable in the long term), before going inside, doing window shopping and looking for a nice place to eat. Tip: There is a free shuttle boat from Saphan Taksin BTS Station to the Icon Siam mall across the river. 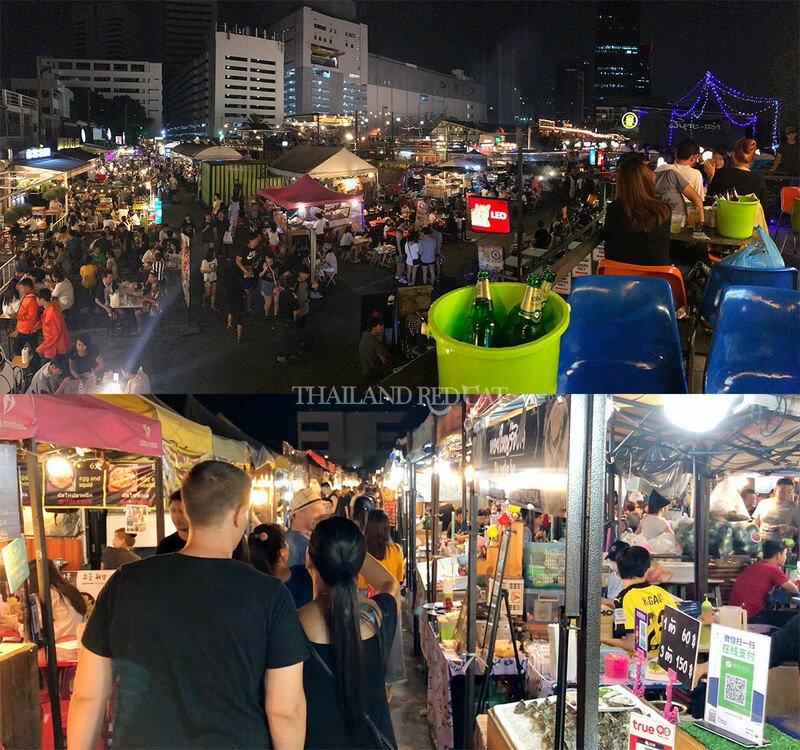 One of the most popular dating spots in Bangkok is the new Train Night Market in Ratchada. You’ll see lots of Farangs walking around with Thai ladies there, and I’m sure lots of them met on a dating site and spend their first evening here together. It’s very easy to get there: Just take the MRT to Thailand Cultural Centre, the market is located right behind Esplanade shopping mall. Tip: They have great drink specials in the bars: Like 3 big bottles of beer for 270 Baht. There you have several perfect dating spots in Bangkok. And if you feel like you want to suggest something more extraordinary to your girl, why not visiting the Trickeye Museum, Bounce Thailand or The Rink Ice Arena? Or if you have a full day to spend, you could even take her to a bicycle tour over in Bang Krachao. But that would probably be more suitable for the second date.